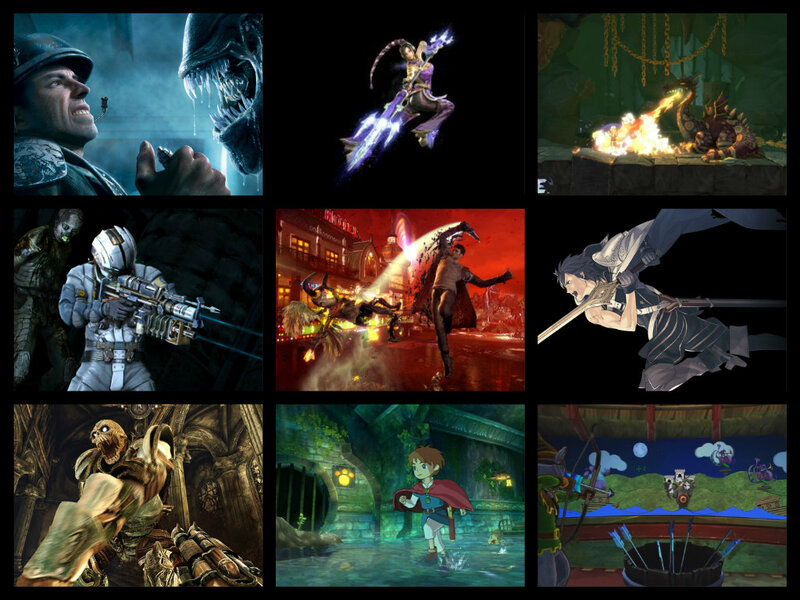 2013 seems to be a great year for gamers, taking into account the plethora of games that have been launched until now. Even though the year is not over yet, the wide range of launched games is enough to make up a list of the best 10 video games released so far. This version of the game is the only decent one, after years of struggle. The video game will capture all your attention and will definitely make you spend most of your time glued to the screen. Aliens: Colonial Marines is not the most attractive game of 2013 when it comes to graphics, but it’s a great choice for gamers who enjoy fighting with a large number of snarling aliens. Sniper 2: Ghost Warrior has everything it takes to keep you busy for a while, especially if you are interested in decent sniper games. This one doesn’t feature only a sniper rifle, and the sniping experience provided will simply exceed your expectations. Plus, the controls are crisp and clean, making some complicated tasks such as picking up some pilots seem as easy as pie. This game should be by no means overlooked, since it’s certainly one of the best games so far. In case games like Super Smash Bros. Brawl disappointed you, Anarchy Reigns is exactly what you need. This game features all the action that you may want and even more, since it can also be played in four. Believe it or not, this game is definitely the perfect choice whenever you want to spend a quiet afternoon with your friends. Perhaps you remember those days when games consisted in more than killing demons on metal music. This game is reminiscent of those days, even though it’s a remake. First of all, it doesn’t feature any high walls behind which you can hide. This old-school shooter makes you create your own strategies in order to achieve victory. Everything happens very fast, and you are surrounded by demons that have to be annihilated as soon as you can. Double Fine Production is known for its amazing yet efficient team. Their latest piece of art is a game called The Cave, which seems to successfully combine adventure with side-scrolling platforms. This game is filled with puzzles and mystery, and is designed especially for intelligent gamers who have a dollop personality. Everybody remembers the original game, which was known for its funny, enjoyable, and slick characters. However, the HD collection of these games is better than you might think, and Thieves in Time is definitely the best choice. ‘Thieves in Time’ is still about Sly and his friends, who are willing to do whatever to release the Cooper family. If you are willing to become a thief that travels through time, you will definitely enjoy playing this game. This game was highly expected by gamers, who were concerned that Ninja Theory didn’t manage to take care of Dante. However, Dante’s new reboot hasn’t lost his attitude, even though his hair is dark now. In case your 3DS has been neglected since Ocarina of Time 3D, you should definitely try to dust it before starting to play this game. Emblem: Awakening is exactly what a RPG should comprise: a deep game play, an engaging story, as well as spectacular graphics. This game features a very Pokemon-esque adventure based on a remarkable story. The characters are memorable, while the combat is fun, features that turn Ni No Kuni into a great winner. The game may get a little grindy from time to time, but you will get over it as soon as you notice that a big-nosed creature is talking to you using an unusual Scottish accent. The best game of 2013 so far is definitely Dead Space 3, which is the perfect combination between engaging action and unnerving atmosphere. Thanks to the co-op section, this game allows you to transfer your fear to one of your friends in case you don’t want to play it on your own. However, chances are you will still cry quietly every time you hear a random creak in the dark. About Jason (The Author): He is a lifelong gamer who loves to play latest and craziest games. Apart he is a Technical Writer, and runs an online gaming site Tom and Jerry Games 365. That is a Nice List..I have played Devil May Cry and Sniper:Ghost Warrior both earlier versions and loved them.. It seems all interesting games. Thanks for the info. I am a laggard going by your list. Besides DMC i am like a loser when it comes to gaming. But this list will help me surprise my sonny and shower him some lovev and videos. Thanks for the share.